I love simple ways to feel better. And for me that involves tending to my body in concrete ways. 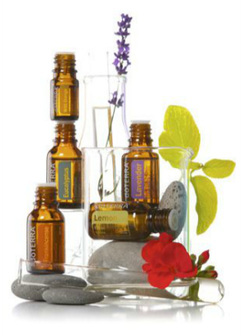 I share and sell high-quality essential oils for that very reason: they are an elegant, in-home way to tend to our body and to respond in real time to unfolding discomforts. High quality oils also are a natural way to resource yourself with mood-enhancing aromatherapy and boost your immune system. This can be as simple as a few drops of diluted peppermint on your head to avert a headache or rubbing oil on your child’s foot before bed to help with a cough. You can even make your own natural cleaning products, help manage the symptoms of a chronic or recurrent health problem, or invest in a diffuser and clean and purify the air in your home. Curious to learn more? Schedule a complementary wellness session. I would love to share my experiences and help you identify the best options for you and yours! Looking for high quality oils with an easy online ordering process? You can purchase directly via my doTERRA wellness site http://mydoterra.com/coachjoanie and/or contact me directly (814-777-0410) about wholesale options.